How Do You Make Sandwiches Gluten-Free in the Philippines? To make things a bit easier for a sometimes challenging diet to conform to, we’ve gathered some sandwich classics to help you whip up filling gluten-free meals for kids’ school baon (lunch pack) or even for the office. 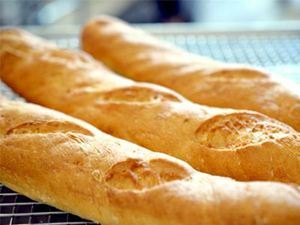 As a basic, of course, you’d want to start with a gluten-free base like your gluten-free bread, and baguette. Though pandesal and tasty bread are out, don’t fret. There are still great alternatives you can try. These are available in your supermarkets, and be sure you are looking to avoid these in the ingredients: wheat, barley, rye, oats, malt, and brewer’s yeast. If you want more convenience, you can visit GERALD.ph for a gluten-free selection you can have delivered to your home in Metro Manila. 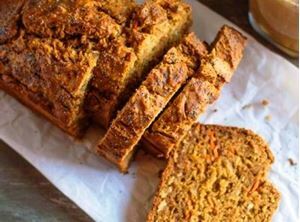 If you’re new to the gluten free diet, you can visit celiac.com’s comprehensive list of gluten-free foods . This is an easy one and definitely a favorite for quick sandwiches. We love it for it is moist, light but filling. It’s perfect that the typical ingredients, like mayonnaise and plain mustard, are grocery staples that happen to be gluten-free. Most come without the gluten-free stamp, but check the back label. Let a saucepan containing eggs submerged with water come to a boil, then turn the heat off and put the lid on and let sit for five minutes. Let the eggs cool in a bowl of ice water, and peel and dice. To the eggs, add mayonnaise plus mustard, salt and pepper, chopped celery and onions, and salt and pepper to taste. Smother on gluten-free bread, add strips of ham (check the label for some ham glazes may contain gluten. If the glaze is in a separate packet, just don’t use it). Chill and enjoy! Make your own burger patty and skip the frozen patties. You can make better ones for less. Pure unprocessed meats do not have gluten, and so the ground beef that you get straight from the butcher and then mixed with wholesome spices yourself is guarantee you don’t have gluten cross-contamination risks that processed meats may have. 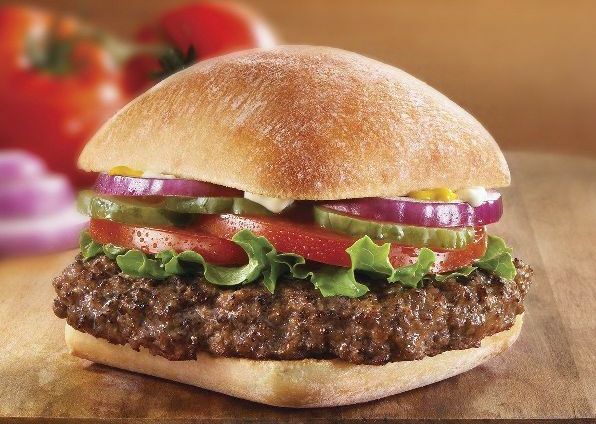 Also, this gets you away from additives and extenders that are common in local ready-made patties. Top patty with veggies like tomato, coleslaw, or gluten-free sauces to make different versions. Typically an American sandwich, but it practically has the Pinoy stamp on it what with the Filipino’s love for the really cheesy meals. Really, can you think of anything better than warm gooey melted cheese? I can’t. The ‘unspecial’ grilled cheese sandwich is made with processed cheese. For your gluten-free diet, go with the all-natural variety. It’s hard to find a proper grocery store now without a deli section so getting these should be easy (check: SM, Puregold, Rustan’s all has this. Now it’s online, too). Natural cheese does not have gluten, and you can choose to add much more interesting cheeses like emmental, gruyère, or comté, as long as they are soft, melting cheeses (Parmesan might be challenging to melt). Want to be more adventurous? Add crumbs of blue cheese. And the secret: add butter in your pan with the sandwich after your cheese melts. Look here to master the art of grilled cheese. Mozzarella, tomatoes, basil in a sandwich. To make a gluten-free roll up version, substitute corn or brown rice tortillas for bread. Add steamed or grilled chicken and drizzle with balsamic vinaigrette, and you have an exciting roll up. With how easy it is, this simple but elegant tasting dish will surely be a regular in your lunch pack. Tip: for wrap recipes, you can actually do away with bread altogether and wrap it in greens like a nice iceberg lettuce or cucumber. Healthy, and certainly gluten-free. For something a bit fancier, try to make this baking-required French sandwich. A little trouble in the kitchen but Oui it’s all worth it. 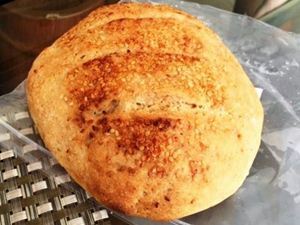 With gluten-free bread as base, Croque monsieur for the most part already uses gluten-free ingredients: butter, milk, mustard, gruyere and Parmesan cheese. 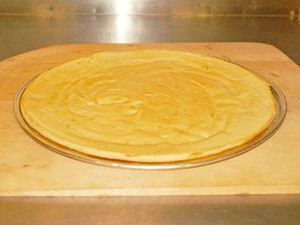 For the cheese sauce, just use rice flour instead of all-purpose flour. Check out an easy to follow recipe here. Don’t forget to substitute the ingredients! 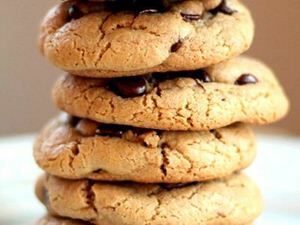 Hope you can make yours out of these and try other gluten-free versions, too! Do share with us some of your own special gluten-free sandwich tricks in the comments! 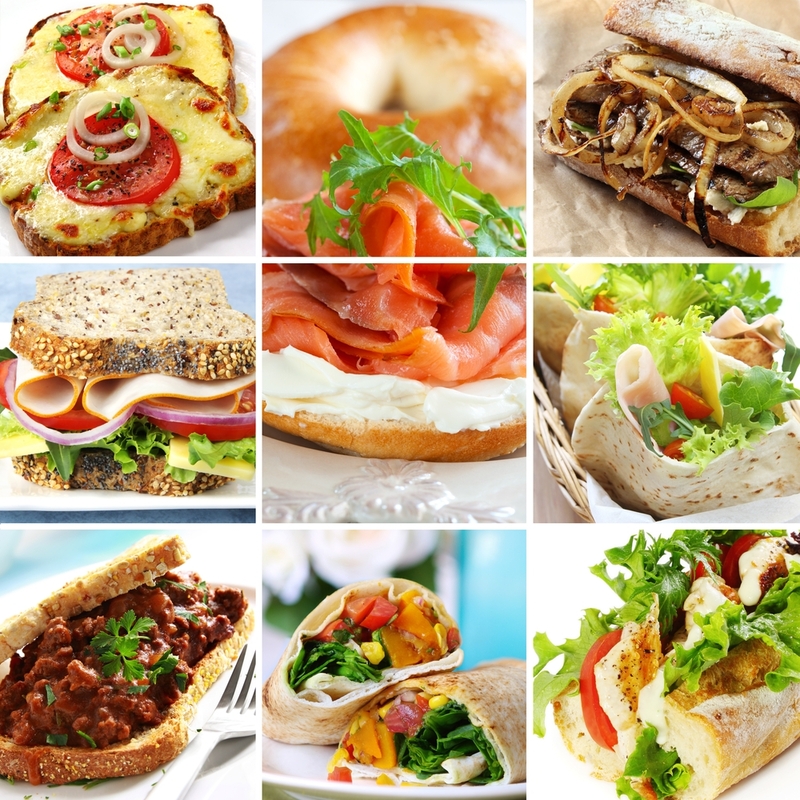 Posted on September 23, 2015 September 23, 2015 Categories RecipesTags filipino food, gerald.ph, gluten-free, recipes, sandwichLeave a comment on How Do You Make Sandwiches Gluten-Free in the Philippines? There’s no need to go to an Italian restaurant to enjoy this classic pasta dish, and you can even have it gluten-free. You can prepare it in minutes with the convenience of the frozen seafood available on Gerald.ph. 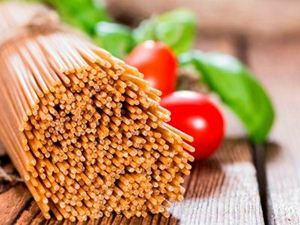 1.In a large pot, cook pasta until al dente or tender to the bite. Drain and set aside some pasta water. 2. Lightly dredge each scallop in a bowl full of flour and season with a bit of salt and pepper. Shake off the excess. In a skillet over medium-high heat, add olive oil and half of the garlic herb butter. Saute scallops for about 2-3 minutes on one side until just beginning to brown, then carefully turn over and continue cooking for another 2-3 minutes. 3. Add chopped garlic into the skillet and saute for 30-40 seconds – do not let it brown. Add the wine and a little bit of the pasta water, about 1/4 cup. Then add mussels and cover for 3-4 minutes. Stir. 4. Add cooked pasta and season with additional salt and remaining herb butter. Add more pasta water or a touch of wine if you prefer more broth. Sprinkle with parsley and toss gently to combine. Voila, a delightful pasta dish! Many of you know us at GERALD.ph for our freshly baked breads and pastries. But I have also heard from some customers to make some gluten-free options options for them. That’s why this year, we also started introducing gluten-free food items so that these customers can also enjoy bread, cookies, muffins, pizza, and more. In simple terms, gluten constitutes about 80% of the protein in common grains such as wheat, rye, barley and oats. Some people can have an allergy or intolerance towards gluten, so they must follow a gluten-free diet for medical reasons. Our gluten-free items are prepared in a separate facility from our regular breads and pastries, so there is no fear of cross contamination. Most of our gluten-free items are also vegan (except the gluten-free salami pizza) and dairy-free! It’s part of our commitment towards offering better and healthier food choices to people in Manila. We soon hope as well to serve everyone in the Philippines! 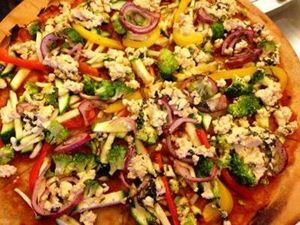 Order your gluten-free food for delivery in Metro Manila today.